We at United Insurance Agency, Inc., have seen a lot of changes in the insurance industry since opening our doors in 1929. When it comes to our customers and the quality service we provide, our values haven’t changed, and never will. At United Insurance Agency, customer service is a virtue. We strive to match your needs with a reliable insurance policy. Our local agents will work with you in order to find the best policy at the best price. We are always available to discuss policy options, or to file a claim, but we build lasting relationships with our customers, too. We have a policy to fit your needs. 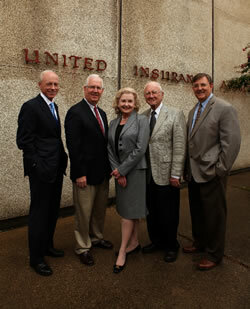 Our United Insurance agents will be with you every step of the way. Whether you are buying car insurance for the first time, or you are planning for the future, an independent United Insurance agent will work tirelessly to find the right combination of coverage and cost to fit into your budget. Get in touch with an agent today to get a quote on your new home, auto, boat, business, or life insurance policy, or ask about the wide range of policies we offer. Let us work for you. We will sweat the small, and the big, stuff. Life can be hectic enough without worrying about insurance or filing a claim. We live and work in your town, so we can help you find an insurance policy that fits your lifestyle. This also means that we will see you at the ballpark, grocery store or on the street. Once you are a part of the United Insurance family, you will understand that our customer service goes beyond your insurance policy. We care about you and your family, as well. Let us worry about your policy options and your claims. That way, you can update us on life, because you will live it, hassle-free.